Welcome to It's Your Life podcast, where amazing things happen only if you let them. 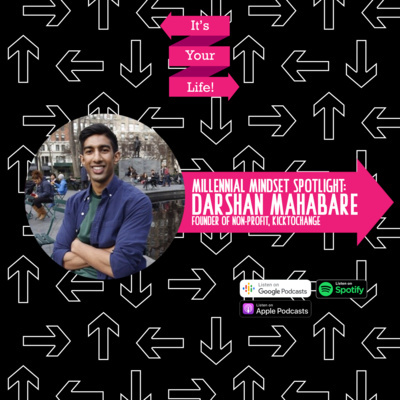 In this podcast, I speak to #millennials like myself, young people are still figuring out their lives while also obsessively planning next steps. I cover topics like being your boldest self, finding the courage to dream, and uncovering your magic within. Tune in now! Gabi co-founded the Women of Color Book Club DC with her friends Madhvi and Ameesha in July 2017 with the intention to gather like-minded women in the DC area and support women of color authors. With over 20 women of color members, the book club meets once a month to discuss books written by women of color authors. 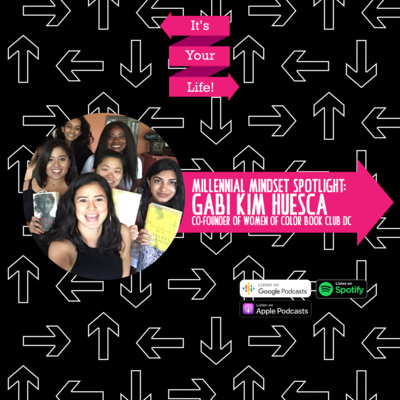 Gabi hopes to grow the book club and regularly facilitate conversations with women of color authors, and ultimately impact the publishing industry and literary canon. 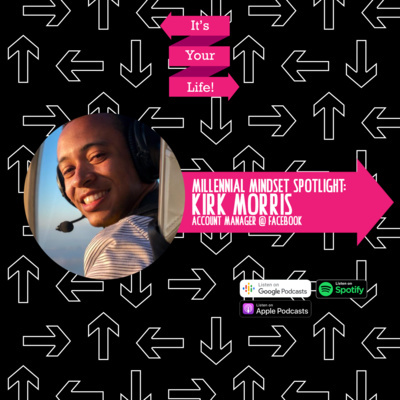 Kirk Morris was born and raised in Maryland and graduated from the University of Maryland in 2017 with a degree in Marketing. Kirk is an Account Manager at Facebook in Austin, Texas. Since graduating college and starting his career at Facebook, Kirk has been focused on strengthening key skills for his career, building community, and learning more about himself and the environment around him. Kirk joins me shortly after his most recent adventure from around the world in Rio de Janiero, Brazil. Kick off the new year with a minimalist approach! 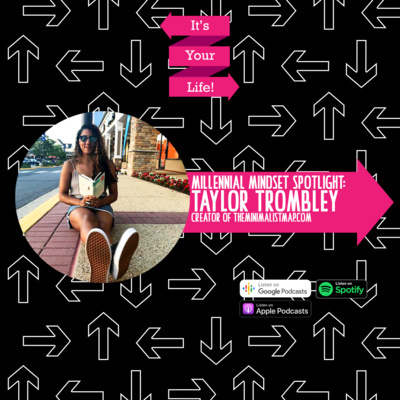 Latest episode of It's Your Life, and the premier of the new season series "Millennial Mindset" I sit down with millennials who are doing some cool work and just figuring it out along the way. Cultural exchange is a part of her life now whether it takes the form of traveling, languages, or teaching English (her three passions). With an 'anyone can succeed' attitude, Taylor is currently in charge of her own blog, The Minimalist Map. Both a play on her love of travel and a guide on how to live with less stress. Her expertise covers not just physical decluttering but also mental and emotional; all equal parts of a whole. 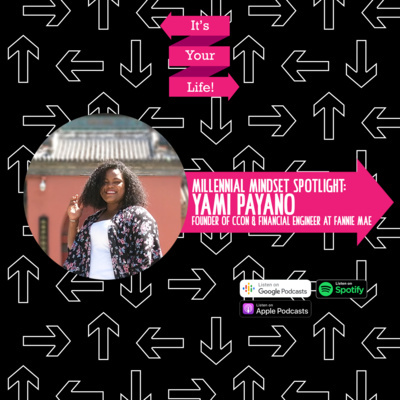 Latest episode of It's Your Life, and the premier of the new season series "Millennial Mindset" I sit down with millennials who are doing some cool work and just figuring it out along the way. Baltazar is a young Mexican-American from Chandler, AZ. Who recently graduated in 2016 from the Arizona State University with a degree in public policy. When he’s not at work or practicing his Russian, he is a part time student earning a certificate in business analytics. 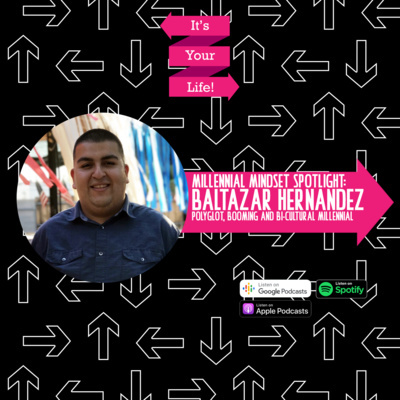 Latest episode of It's Your Life, and the premier of the new season series "Millennial Mindset" I sit down with millennials who are doing some cool work and just figuring it out along the way. 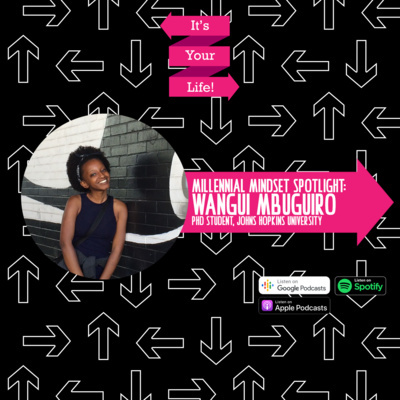 Wangui is a PhD student in the Biomedical Engineering Program at Johns Hopkins University. Her research and passions center on engineering tools to better understand and treat women’s health disorders like endometriosis and fibroids. 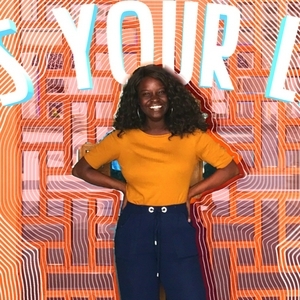 Latest episode of It's Your Life! Post-Grad Blues: Why Do I Feel This Way? 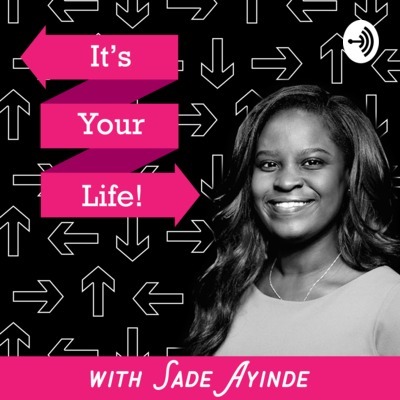 In the latest podcast of It's Your Life, I talk about post-graduation depression and blues. More often, than we would like to admit, graduation leaves some of us seeking more and down for some time before we can even acknowledge what's happening. We all know you have big dreams, don't forget about your destination while on the journey! We all know Cardi B made this line the most famous, but what exactly does it mean when we step out of our comfort zones? In this episode, I chat with Gessica - The Travel Budgetnista about travel tips and solo travel as black women. We traveled to Bangkok together and share some good tales! Suscribe, share and leave feedback! In this podcast episode, I interview my two sisters and ask them about life lessons, their own mottos, and what does Black Girl Magic mean to them?